Eat, eat eat! We are getting ready for the winter. That means some animals eat in the the fall and sleep in the winter. Do you think that bears are true hibernators? Bears are not true hibernators because they wake up easily. 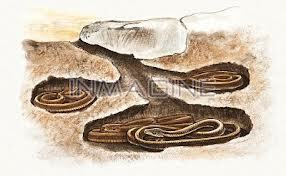 Snakes hibernate under a rock. They curl up to keep warm. Ladybugs hibernate under a rock and huddle together to keep warm. Dormice hibernate in an underground nest. But they do not sleep forever. In the spring their hibernation is finished. This entry was posted in 2012/13 School Year, JV, Mrs. Wright's Class. Bookmark the permalink. Julio, you have done such a great job of writing about hibernation. I loved how you started your story! It is very creative and makes me want to read more. From your parents.We learned some facts about your writing. Hibernation is an interesting topic. Great job Julio! we are so proud of you. We love you. Continue doing an effort in your learning process. Posting student writing is a great idea from your teacher.